St. Paul’s Lutheran Homes is a public, not-for-profit Christian organisation located in Hahndorf, South Australia. The residential care facility, situated in the scenic Adelaide Hills, has a secure dementia unit, chapel and internal courtyards. The Adelaide Hills are approximately a 30- minute drive from the city which makes St Paul’s the preferred choice for residents and families looking for a calm and relaxed lifestyle. All residents are provided individual rooms with ensuites and dedicated couple rooms for those who live together. The facility prides itself on their excellent level of care and service, and the ability to meet the needs of all residents whether permanent or in respite. Since 2013, Subnet has been the St Paul’s Lutheran Homes managed services provider of choice. Over the years, our team has developed a deep understanding of their long and short-term organisational goals and requirements. We have expertly delivered various projects and ICT solutions to help their staff provide better care and services to their residents. Through understanding their mission and passion for their residents, we have been able to explore ways in which we can help St Paul’s become more technologically efficient. Since Subnet took over as St Paul’s managed services provider in 2013, the facility has increased its capacity to 80 beds; as a result, the level of IT support the residents and staff received had to reflect this growth. An increase in the size of the facility called for an increase in its technological requirements and resources. Throughout their expansion process, St Paul’s also had to keep all their ICT systems running. Subnet formulated a strategy that was in line with the allocated budget and circumstances. These proactive and reactive services provided them with maximum uptime and even included complimentary quarterly consulting services to ensure they strategically remained on track. St Paul’s Finance and IT Manager Sally Goff said, “Subnet understand our tech specifications and requirements very well.” She noted that the help-desk has proved reliable especially when she’s not around. 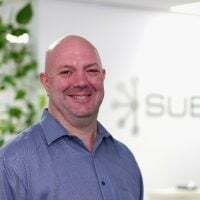 Subnet’s accessibility and non-intimidating approach make it easier for staff of all technical abilities to receive the help they require. Sally has asked Subnet to help provide all resident rooms with tablets that will help nurses and carers maintain notes about each resident during visits. Currently, there are a limited number of stations where details about resident visits can be filled in, however, they are usually far from the rooms thus nurses and carers have to use notepads during the visits and fill in the details later. The tablets will allow them to digitise their process to be more efficient and immediate, freeing up time for the staff to focus on more urgent issues. Due to our staff ’s extensive knowledge of technological solutions, Sally Goff said she relies on our team to bring forth innovation. “Subnet know us and our systems, as well as their capabilities. I can rest assured that we don’t have to research innovation as Subnet is our most significant reference." Our valued long-standing relationship with St Paul’s Lutheran Homes has seen us taken an active interest in providing them with the best technology to assist them to provide a high level of care to their customers.